The Week In Music: What To Read Now, Labor Day Edition : The Record Read 'em on the beach, by the lake, in Philly, on Randall's Island or on your couch — just read 'em. 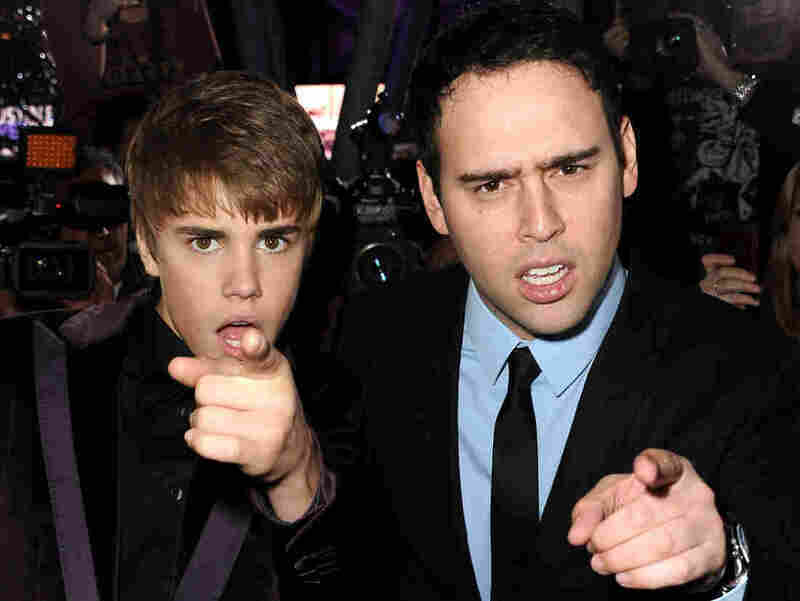 Justin Bieber and manager Scooter Braun last year. No rest for the weary. It's been another whirlwind of a work week — over here we rejoiced that our hip-hop stream is up and running and then mourned the death of industry executive Chris Lighty. We wondered if Thelonious Monk could win a jazz competition were he alive today. Renaud Garcia-Fons left us speechless. But that's not all that happened. Use the extra day off to get caught up on the music world with these five stories. Read 'em on the beach, by the lake, in Philly, on Randall's Island or on your couch — just read 'em.